They are Beginning to Eat Their Own. Facebook admitted Wednesday that it asked an opposition-research company to investigate billionaire George Soros over his criticism of the social network. In an internal memo released publicly late Wednesday, Elliot Schrage, Facebook’s outgoing head of communications and policy, said he was responsible for hiring the company, Definers Public Affairs, to investigate who was behind the “Freedom From Facebook” campaign. “In January 2018, investor and philanthropist George Soros attacked Facebook in a speech at Davos, calling us a ‘menace to society,’” Schrage wrote in the memo. “We had not heard such criticism from him before and wanted to determine if he had any financial motivation. Definers researched this using public information. Definers later distributed a document suggesting Soros, a major donor to liberal causes, bankrolled the anti-Facebook campaign, playing into anti-Semitic conspiracy theories about Soros. Facebook Chief Executive Mark Zuckerberg and Chief Operating Officer Sheryl Sandberg have denied knowledge of the Definers efforts until after it was revealed by a New York Times report last week. Facebook has since cut ties with Definers. “I also want to emphasize that it was never anyone’s intention to play into an anti-Semitic narrative against Mr. Soros or anyone else,” Sandberg said. In the memo, Schrage said the blame lies with himself and Facebook’s communications team. Schrage said Facebook did not ask Definers to create or distribute fake news. Schrage announced in June he would be stepping down, in the wake of the Cambridge Analytica scandal, but has stayed on during the search for a replacement. 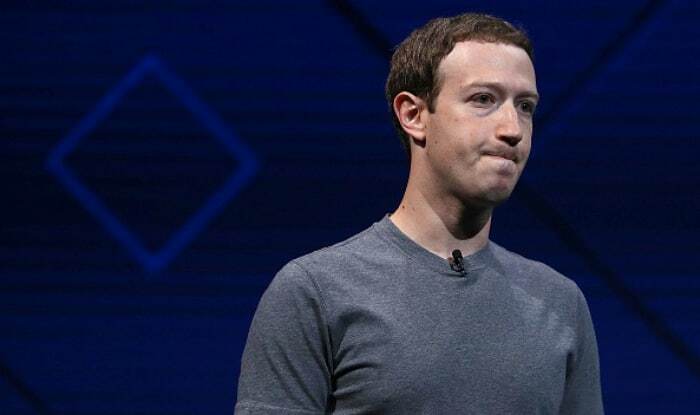 A series of scandals has hurt Facebook over the past year, and a number of top executives have left the company due to Zuckerberg’s more aggressive management style, the Wall Street Journal reported earlier this week. Criticism from users, lawmakers and pundits have lowered morale at the company, with a survey finding just 52 percent of employees saying they are optimistic about Facebook’s future, the Journal reported Wednesday. Still, no major leadership changes are expected. Zuckerberg on Tuesday told CNN he has no plans to step down as chairman, as some have called for, and threw his support behind Sandberg, who had reportedly feared for her job earlier this year. Facebook shares are down almost 24 percent year to date, compared to the S&P 500’s 0.8 percent decline.